Plymouth City Transport Preservation Group (PCTPG ) in association with the Plym Valley Railway (PVR) are pleased to announce that they have already had their most successful December running days to date. 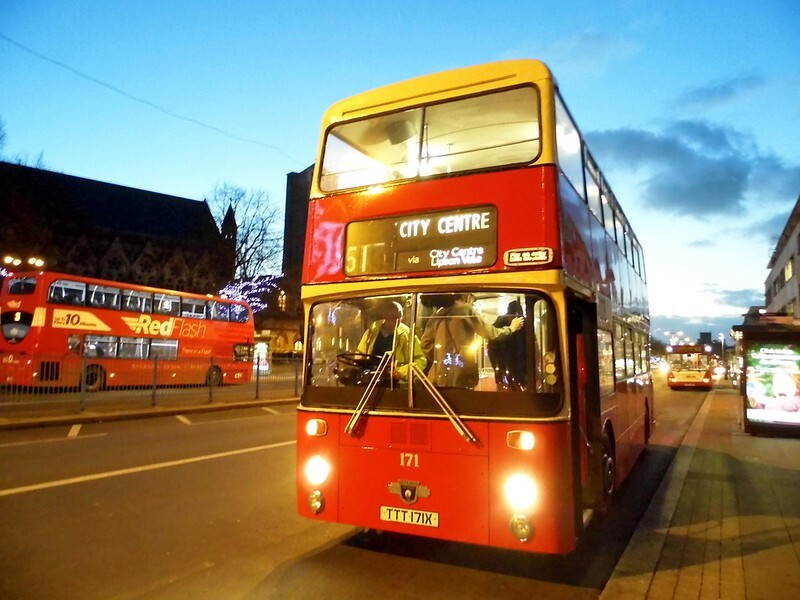 The Atlantean themed running days held on the 4 Sundays prior to Christmas 2014 have seen ridership on the 51 Coypool to City Centre Park and Ride service increase on previous years events. Ridership too on the PVR North Pole Express has also been at record levels for the event. The group have also had their most successful PVR sales bus takings this year so far. 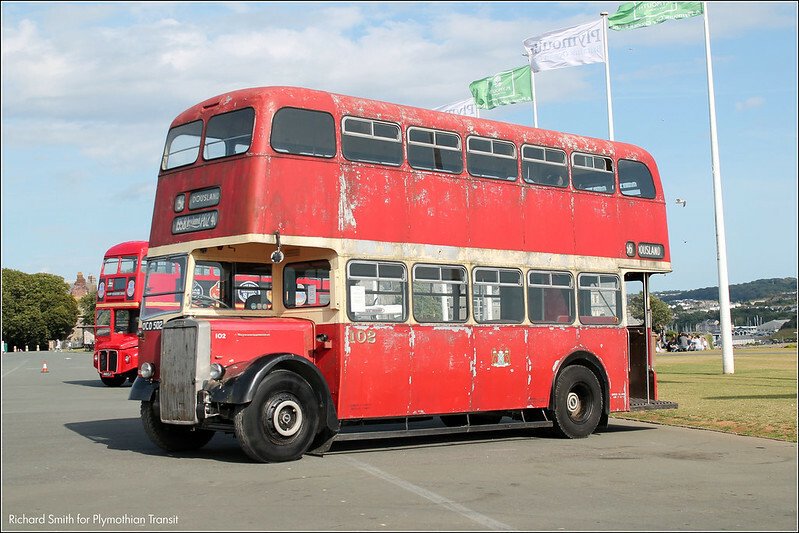 All of which will go into the future restoration work required on the various buses within the collection to keep them on the road or in some cases to return them to the road. The group is open to all regardless of age and ability and is especially welcoming of family memberships. Ralph Delbridge Group Chairman said; "We are also in the process of updating our facility at Colebrook including setting up an archive that will be open to the public. Anyone with any items of Plymouth area public transport history including badges, uniform, photographs etc. would be more than welcome to get in touch with us." He added "PCTPG has had its most successful year so far in 2014 with significant historic vehicle acquisitions and a growth in membership numbers at a time when people don't have a lot of spare capital. We look forward to continuing that success in 2015 and getting to as many shows and events across the South West and further afield as possible and look forward to meeting preservationists from other groups to share experiences and further the bus preservation movement we all enjoy. 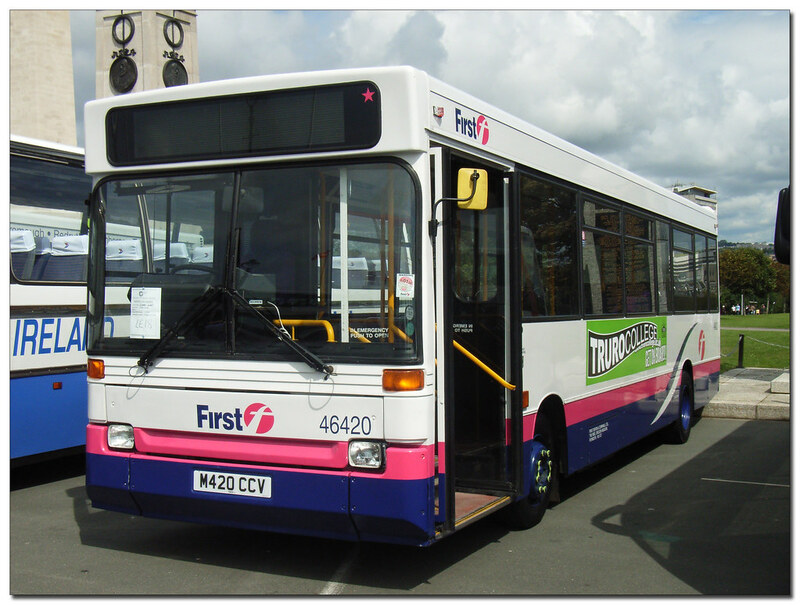 Plymouth City Transport Preservation Group (PCTPG) are pleased to announce the successful acquisition of another former Plymouth bus for on going preservation in the City as part of the groups collection. Group Member Mike Bojanitz has secured former Plymouth Corporation Leyland PD1 Half Cab 89 CJY 299 which has been out of the city for nearly 10 years stored by another preservationist and returned her to the groups Colebrook depot facility this week. This is the third significant half cab return to the city by members of the PCTPG this year. In July in time for the Hoe rally Leyland PD2 102 OCO502 was returned to Plymouth. 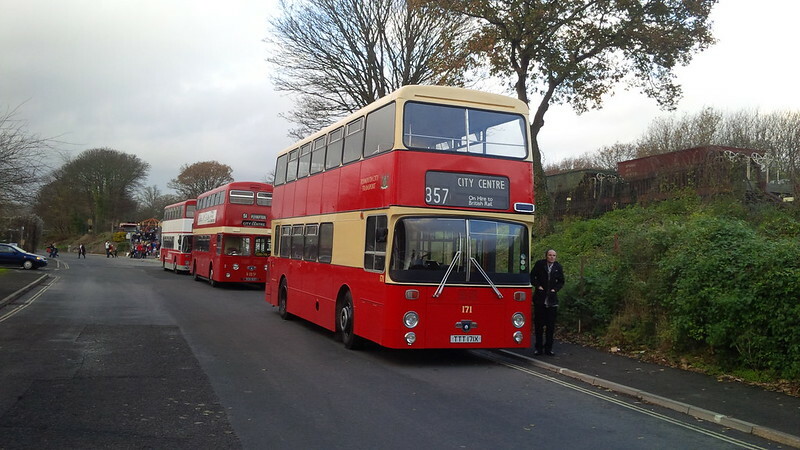 In November the group successfully repatriated rare low height Crossley DD42 335 DJY965 and now in December we had made it a hat trick with the successful return of 89 CJY299. Mike Bojanitz said "Work is already underway on cleaning her and stripping down the old paint work in order to return her to her former glory, she has also come with a full set of re trimmed seats which will go some way to helping with the restoration." In line with the PCTPG's aim of a collection reflecting a true cross section of the vehicles and liveries seen on the City streets across all eras and decades we are pleased to announce a further acquisition for the groups collection this week. Group member Tom Pearce has secured one of the few surviving former Western National step entrance Dennis Dart Plaxton Pointers. Currently only one other is in preservation. 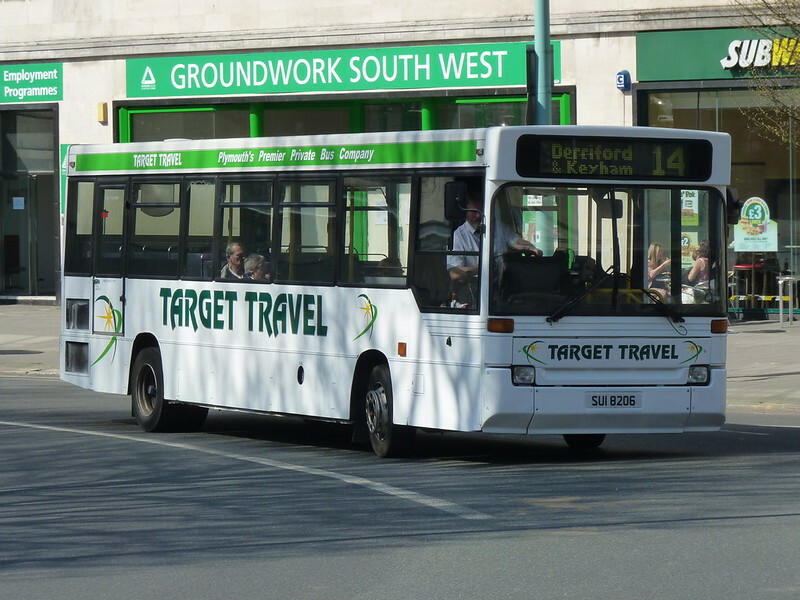 Tom has acquired from the bus from Target Travel of Plymouth who have operated it for a number of years as part of there fleet. Most recently however it has been used as a source of spare parts to keep the other two remaining Plaxton Pointers in there fleet going. The Dart in Question is M420CCV ex Western National 4420 with Plaxton Pointer Body -see attached photo. Copyright unknown. Tom said "I hope to return it to the badgers and flags livery it had when new and have it out and about for the 2015 season starting with Penzance. I have already secured a new engine for it from a similar donor vehicle." The purchase will go some way to balancing out the PCTPG collection with a mix of vehicles of other operators from within the City. The group recently added Olympian ECW C412HJN to its collection despite being new to Eastern National it ran within First group from Torpoint depot for the final few years of its First service life. M420CCV seen on The Hoe back in 2007 freshly repainted. The is The Westcountry First major redesign of First Great Western mainline rail timetable The first major redesign of First Great Western’s mainline timetable in Devon and Cornwall for seven years has seen a faster early morning service introduced and more capacity during the summer.